There is only one place at the european qualification tournament left (foil). i think that is not even an outsider chance, that would be a miracle. 3rd place (trap) for Giovanni Cernogoraz at World Cup in Nicosia. He was 6th in the qualification, 20th place for Josip and only 61st for Anton Glasinovic. This weekend we have Judo Grand Prix in Georgia which could be very important for Kumric and Miskovic, also Djakovic and Sutalo are there. I dont know what is going on with Barbara Matic (injury?) and Maranic. Maranic has still a small theoretical chance to qualify. Also the outdoor season in athletics starts slowly. Halfmarathon championship in Cardiff with Daniel Daly, which is his first start for Croatia, he will try to reach the entry standard in marathon, he is missing 2 minutes now. We have Croatian winter championship in Pula (400-3000m), altough i dont expect anything there. Also in the USA the college outdoor season is starting and it will be interesting seeing Flip Mihaljevic in discus (and shot put of course) and Valentina Muzaric in shot put over the next few weeks. Anton Loncar (swimming) is competing at the NCAA Chmapionship in USA, but no chance for quota as the competion is in yards. But could be good indication. As for sailing, it will be a disaster if we don't qualify in men's RS:X. Looks like we are going against for 2 available quotas. Couldn't be any easier than that. Good news came last week to our women's 49er FX crew as our main opponent Ireland qualified on reallocation because there was no African crew. Looking at the results of the last year's World Championships, Ninčević/Dujmović are now the best European crew which is not qualified so far. Finland will probably be our main competition. Miskovic lost in 2nd round of Judo Grand Prix Tournament in Georgia. We should also mention that she led the whole match and literally lost 5 seconds before the end. I really don't think she has any realistic chance now. Well, I don't know how many big tournaments are until the end of the qualification period, but definitely her chances are not good. There are european championship end of April, one grand slam in may and one more grand prix. There is also a masters end of may but only for top 8 per category. So still enough chances but I guess she will have to win one or be two times in the final. 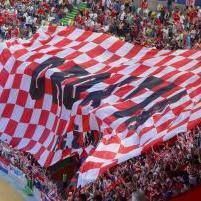 I hope that Kumric will do better tomorrow. 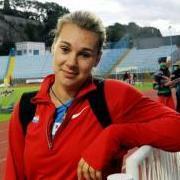 Valentina Mužarić wins in Atlanta with 17.37m in shot put. Not bad for first outdoor meeting. Still 38cm missing. That's actually quite a promising start.